This is to describe how I create Tradigital Art – a new type of fine art that combines traditional painting, drawing and photography with digital media (software and digital tools). Tradigital Art most commonly refers to art that combines both traditional and computer-based techniques to create an image. The traditional studio media and techniques with digital imaging to produce original fine art. Can Digital Art be Fine Art? A hundred years ago, people were asking a similar question about photography. 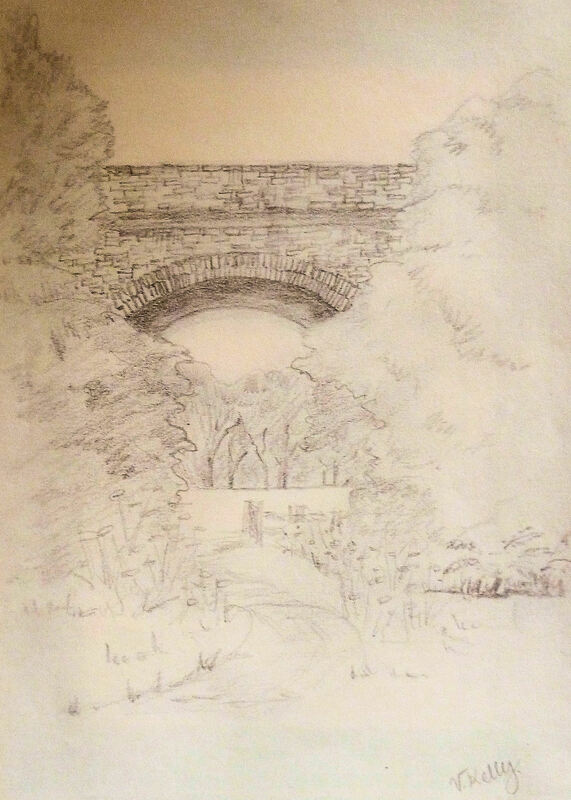 Sketched this lovely picturesque old bridge nr Corton just over the border into Suffolk UK – on a beautiful early summer’s day. 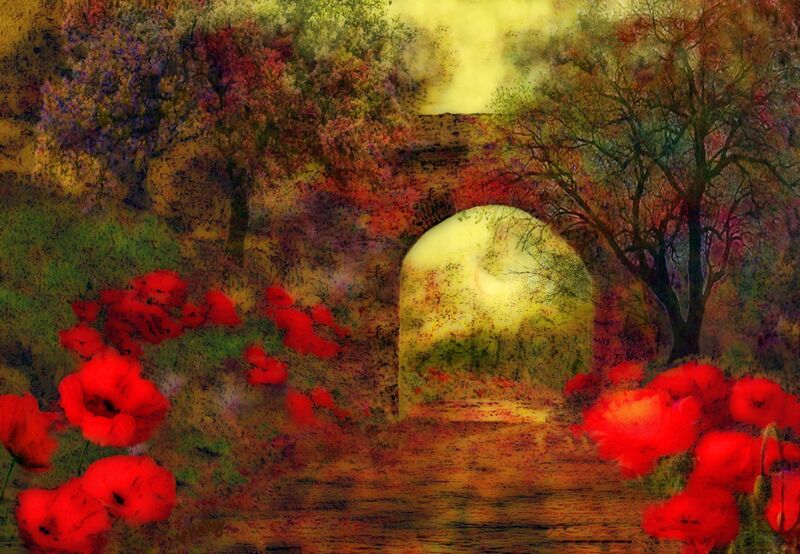 Enhanced with my own tree brushes,poppy photos & textures in – software – Corel PSP X 3 / Tablet and my poppy photographs. 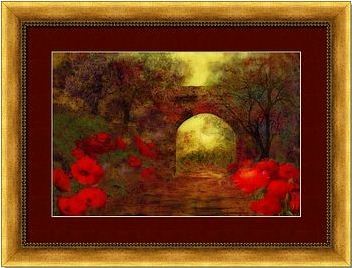 This entry was posted in Art, canvas prints, landscape painting, Norfolk Broads, painting, Photography, Shops - (Stores), Stores, TraDigital Art, valzart and tagged Digital art, tradigital art by valzart. Bookmark the permalink. Great! I’m thinking about trying out Topaz for something along these lines. Thank you Teri,Topaz is brilliant! especially for cleaning your photos – I love it! lol! I’m thinking of getting the Simplify one. Do you know about it? It’s got many change to a painting features,I like buzz sim,it softens all the details. It really depends on what you want it for hon. Why don’t you have a trial and try them all?